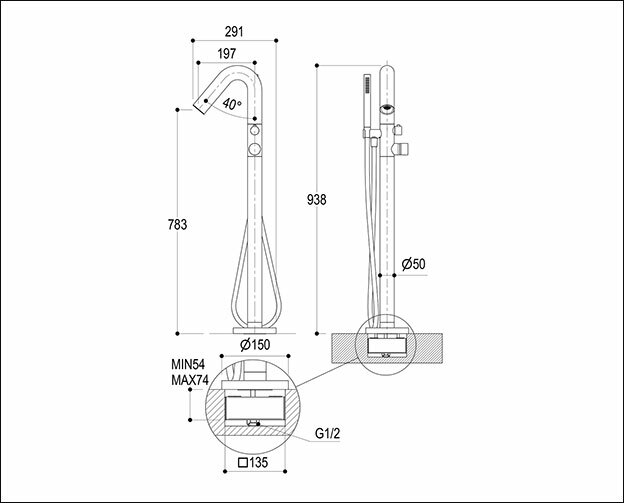 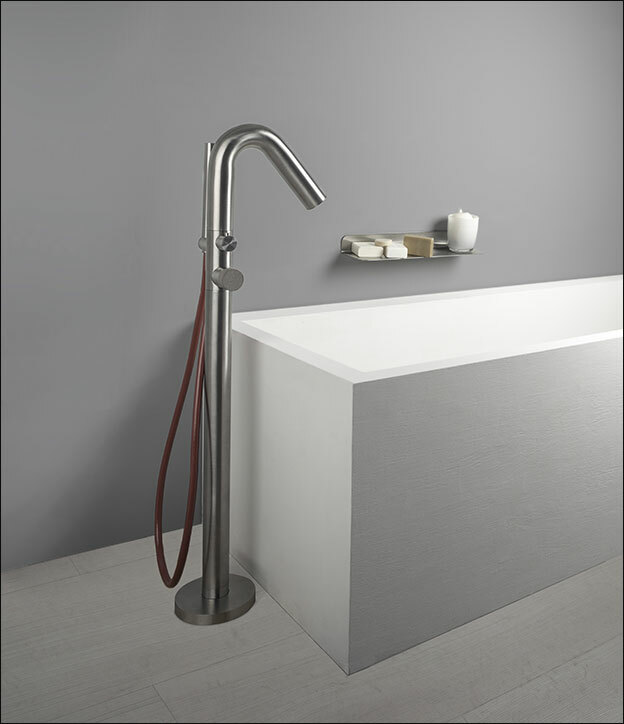 This freestanding bath filler with handheld shower head is supplied in a brushed stainless steel finish with a choice of coloured and stainless steel shower hose finishes to compliment. 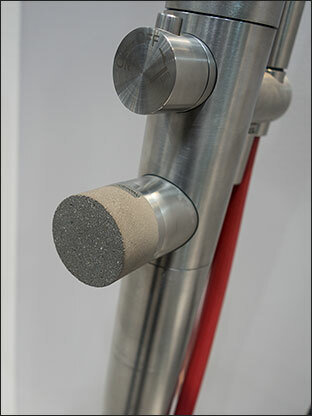 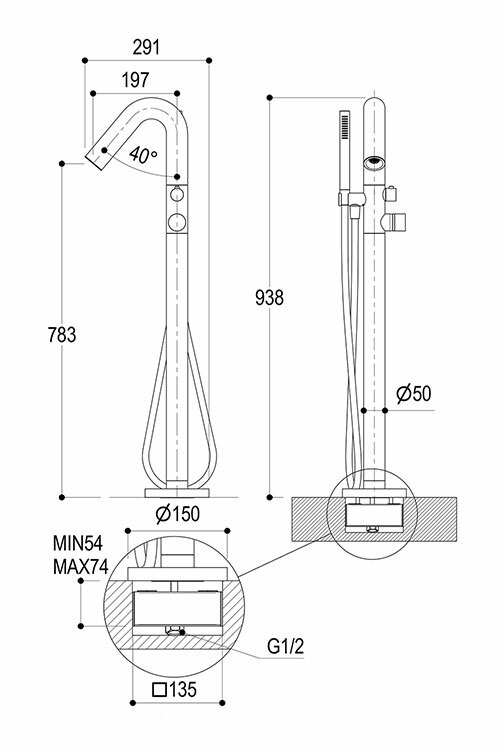 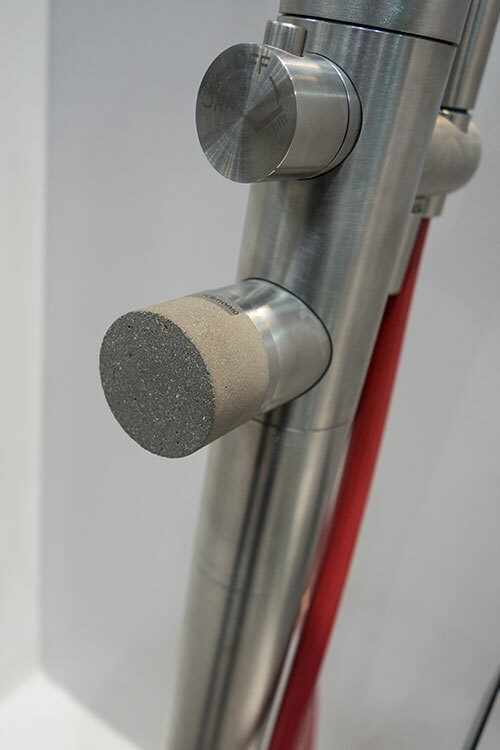 Each floor standing tap has a real concrete handle that is specially impregnated to avoid staining. 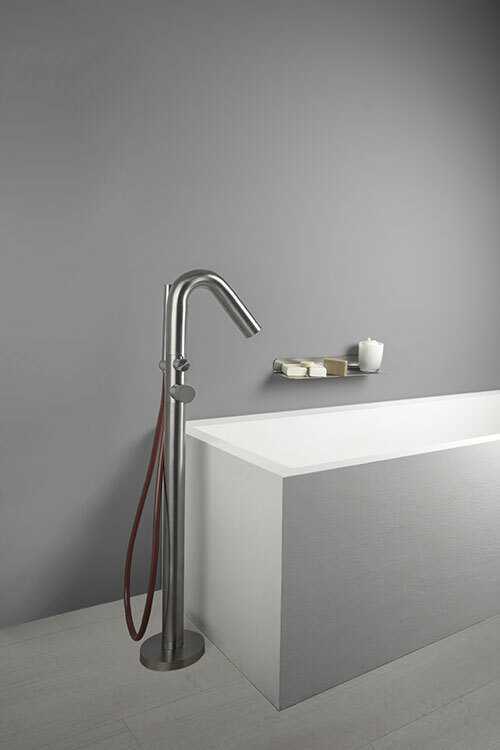 The concrete handle on this particular bath tap is round which is slightly different to the square rounded handles on the rest of the range, but still matches in perfectly. 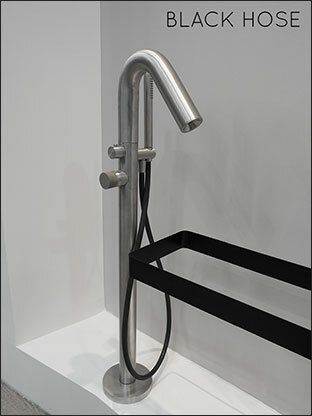 * Choice of shower hose colours.